Tim Mosenfelder/Getty ImagesGrammy-nominated singer Trey Songz was arrested after reportedly throwing a destructive tantrum when he was told his Detroit concert was running too long. 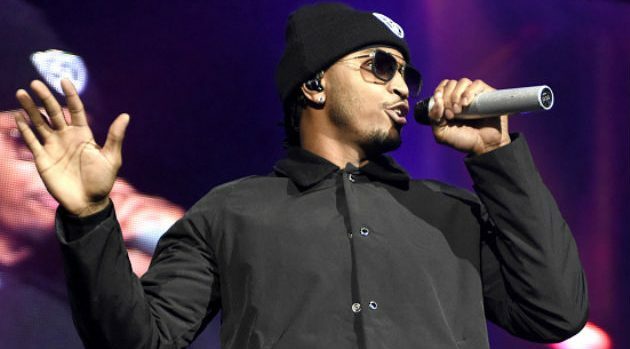 According to ABC-TV affiliate WXYZ-TV, Songz, born Tremaine Aldon Neverson, is facing charges of malicious destruction of property, as well as resisting or obstructing an arrest. Reportedly, Songz threatened to “tear up the stage” if his microphone was turned off after he ran past his allotted time; he allegedly claimed he told fans he loved Detroit and wanted to keep performing. The ABC affiliates say his microphone was soon cut, and he allegedly made good on his promise, destroying things on the stage at the arena. A police sergeant who approached the stage was struck by an item flung by Trey, and suffered a concussion. Other officers then took the performer into custody. A fan tweeted video of the incident, captioned “They turned off his mic so he fsu’d [f***ed s***t up].” Trey then retweeted that video.